Jesus Church's Parish Magazine is much more than just a Church magazine. Published every month, it's always an interesting read, with Church news, comprehensive community news, letters, upcoming events, births, deaths, marriages, rainfall statistics, nature watch – and regular 'quirky' articles about Troutbeck past and present. 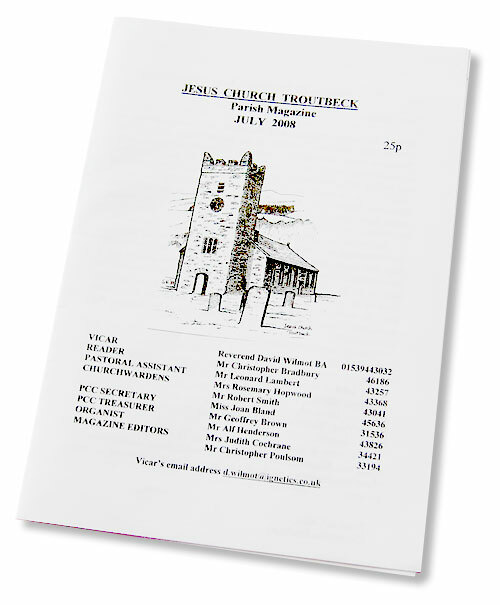 Thanks to the hard work of editor Judith Cochrane, together with a list of regular contributors, the Parish Magazine is Troutbeck's main source of community news and information. • Judith Cochrane on 015394-34421.